"A button bashing noodle contest!" 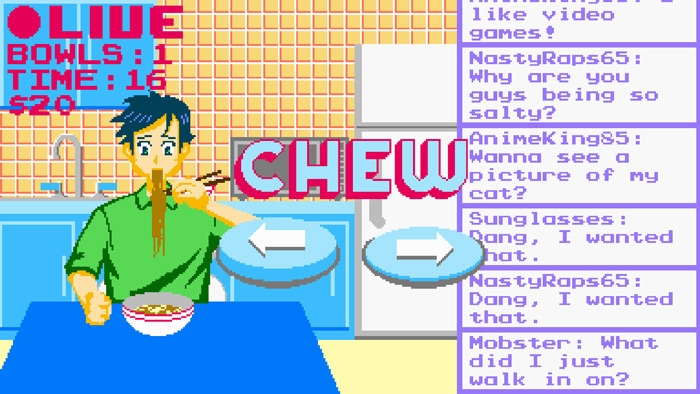 Noodle Champ is a small simulation game where you play as an internet live streamer who streams Muk-Bang (if you are unaware what that is there is a whole sub culture that likes to watch people eat!) and your food of choice is Ramen noodles. 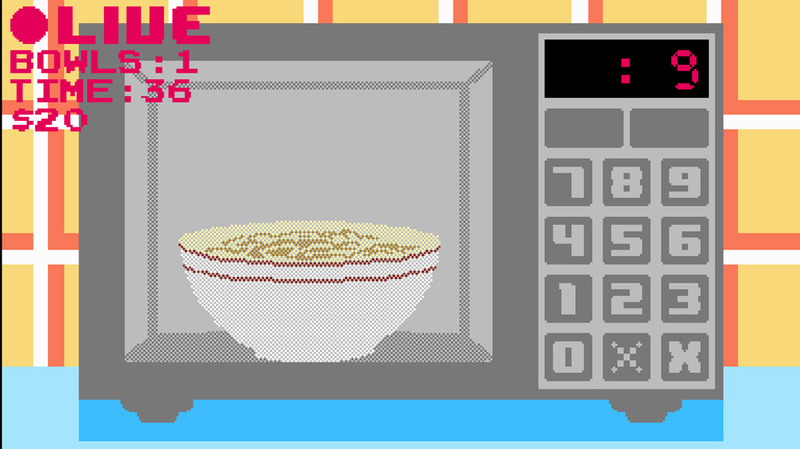 The objective of the game is to eat as many noodles as possible in the allotted time frame, the more bowls of noodles that you manage to get through the more money that you will make from the people watching your live stream, as you try to force down as many noodles as quickly as possible you will also on the left had side of the screen be able to watch the chat window with some rather interesting and funny comments being made from your viewers, although admittedly it's quite hard to concentrate on eating at a rapid pace as well as reading all the messages on screen. 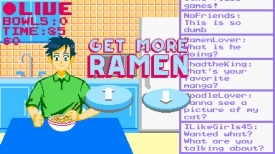 Playing Noodle Champ you will only need to use the arrow keys but the faster you can bash them the faster you will able to clear your bowl of noodles, move on to the next and make more money. The graphics are in a fun pixel art style and this game although short is worth checking out as it is very unique. 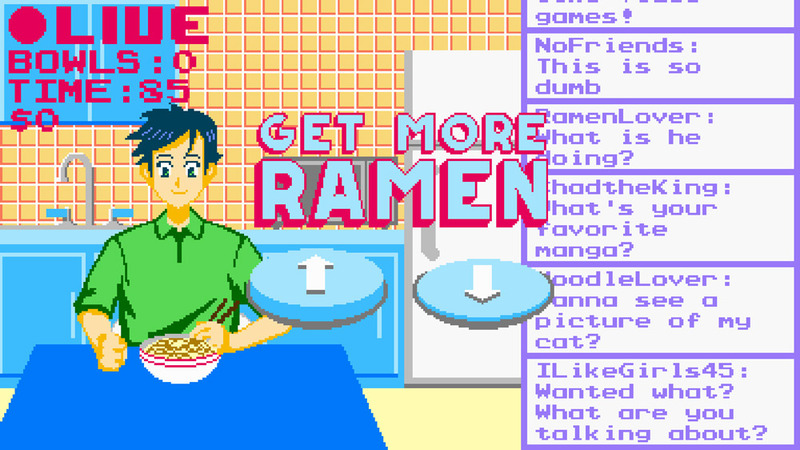 You can download Noodle Champ here for free.